Original designers are set apart from the others on how well they can use previous and varied experience in creating something new. These designers also usually have a curiosity about the surrounding world, they keep wondering why are things the way they are and how could they be better. What sets apart a designer from an artist, is that while creating something beautiful, it needs to be functional rather than just ”art”. Also designers usually have to deal with also constraints from time and resources. Designers are solution oriented, instead of problem oriented thinkers. Sometimes during the design process, when finding the solution, the original problem actually changes to something else. Designers can use different models and tools to guide their creative process. These Design Thinking tools can also help to manage the innovation project. 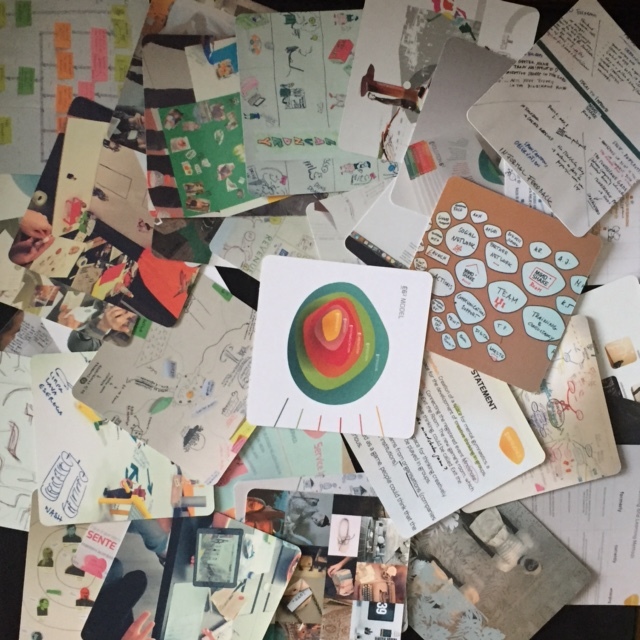 One of these Design Thinking process visualisation tools is the E6 squared -model created by Katja Tschimmel.